How good are surgeons at identifying appendicitis? Results from a multi-centre cohort study. Int J Surg. 2015;15:107. 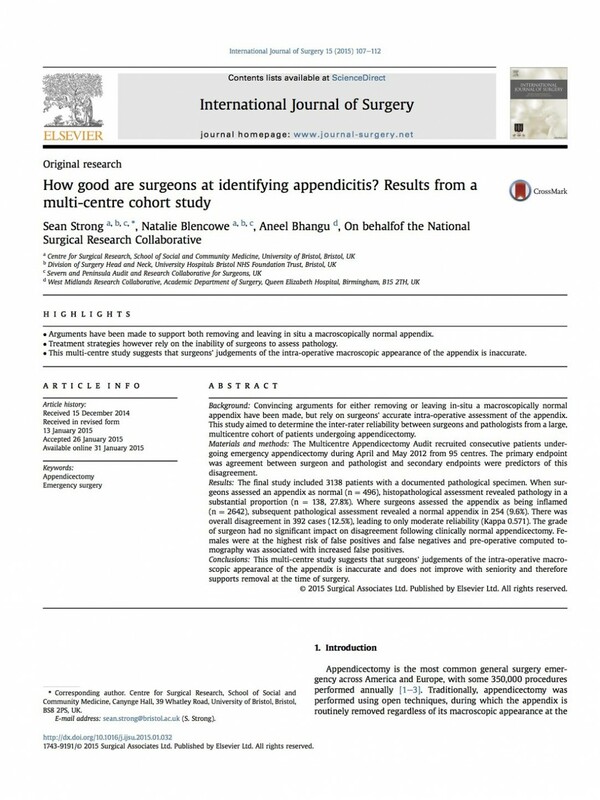 Home » Portfolio » How good are surgeons at identifying appendicitis? Results from a multi-centre cohort study. Int J Surg. 2015;15:107.